No bull! 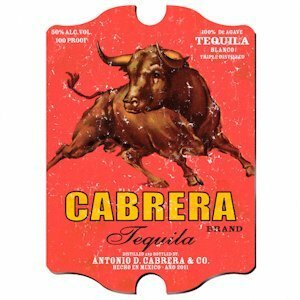 Serious tequila drinkers will want to hang this vintage personalized pub sign in their favorite drinking spot. Its worn appearance gives it that vintage look and the bright colors and charging bull bring out its Mexican motif. The easy-to-read text is in English and Spanish. Sign is personalized with first and last name and year established. Ole!